Possible Misinformation. Initially, Komen cited a questionable Congressional investigation as the reason why funding to Planned Parenthood would be cut. The Congressional probe appears to be a politically motivated grandstanding effort rather than a legitimate investigation. In any case, it is not an investigation being conducted by a law enforcement agency. Komen said its new policy does not permit it to give money to an organization under investigation. Well, does a politically motivated Congressional inquiry really qualify as a legitimate investigation? Assuming Komen thinks it does, shouldn’t people and organizations in our society be entitled to a presumption of innocence, particularly when lives quite literally might hang in the balance? The Komen money funded breast examinations, not abortions. After seeing the controversy that the decision generated, Komen officials then came out with a different reason for the decision. Is this a matter of confusion or is someone not telling the truth? Is the new story just a smoke screen? One of the things that makes the change in story seem a bit fishy is that Komen has had ties to the anti-abortion community and now has even stronger links. Brinker, Komen’s Founder, was a major contributor, along with her husband, to the Presidential campaign of George W. Bush; once he won, he appointed Nancy Brinker to a number of important positions in the administration. In April 2011, Komen hired anti-abortion advocate Karen Handel as its Senior Vice President of Public Policy; in her unsuccessful campaign for Governor of Georgia, she advocated the government defunding of Planned Parenthood. Many who think that Komen caved in to political pressure believe that it wouldn’t have taken too much coaxing to get anti-abortion-oriented officials to cut-off virtually all funding to Planned Parenthood. Risking the Lives of Women. Planned Parenthood also asserts that the move by Komen “could have devastating consequences for women.” Last year, according to Planned Parenthood, it received $680,000 from Komen. Unless that money is regularly replaced from other sources, poor women may indeed suffer. Mission Confusion. The Washington Post article quotes Brinker as saying, “We don’t do things because they’re popular. We do what we need to do to make progress in the field of breast cancer research. … We are singularly focused on that mission.” If research is the core mission, why doesn’t Komen invest all of its resources into research rather than education and examinations. Did Brinker misspeak? Was she misquoted? Or, does Komen have mission-drift issues? To be most successful, a nonprofit must have a clear, focused mission that is well articulated and supported by the organization itself before it can most effectively seek public support. Komen also has a partnership with cookie and cake maker Pepperidge Farm. The seven-year relationship suffers from problems similar to the KFC partnership. Eating cookies can lead to obesity, increasing the risk of breast cancer. Cookies are also an inflammation inducing food; according to some leading nutritionists and doctors, inflammation in the body can lead to a multitude of health problems and increase risk of cancer. But, this year, Komen is guaranteed to get $75,000 from Pepperidge Farm, so the partnership continues. In addition to its communication problems, I believe that Komen also has an integrity issue. There might be a real or perceived integrity problem. Either way, it’s a big problem. I’m a big fan of the work Komen has done over the years. In my book, Donor-Centered Planned Gift Marketing, I even mention Komen in a very positive way. Unfortunately, Komen seems to be a bit lost these days. Judging from the interviews Komen has given so far as well as from its direct communications to the public, it appears that officials at Komen do not recognize that there even are communications and integrity problems. And, that might be the biggest problem of all. Today, Komen has issued a new statement on its website. In part, the statement reads, “We will amend the criteria to make clear that disqualifying investigations must be criminal and conclusive in nature and not political.” This action addresses one of the issues that I identified in my post. It is a step in the right direction. Unfortunately, the statement raises other questions: Did this policy impact the decision about funding Planned Parenthood? First, Komen said it did. Then, Komen said it did not. Now, Komen is acting like this was indeed part of the decision. Komen continues to be unclear on this point. Also, the latest statement is vague concerning the future funding for Planned Parenthood. Komen says that current grants will be paid; that’s nothing new. They say that Planned Parenthood can apply for future grants; but, that’s certainly not an assurance of future funding. If Komen wants to re-earn the public trust, it needs to address all of the issues clearly, honestly, comprehensively, and sooner rather than later. Karen Handel, Komen’s Senior Vice President of Public Affairs, has resigned. However, it remains unclear what her role has been in Komen’s decisions about Planned Parenthood and how those decisions have been communicated. Her reason for resigning is also unclear. However, Handel notes that she has declined Komen’s offer of a severance package, which some in the media speculate might have come with restrictions on Handel’s ability to discuss the matter. The report from The Washington Post contains a link to Handel’s resignation letter. Today, The Chronicle of Philanthropy published the article “Komen vs. Planned Parenthood Fallout Will Make Cancer Group Work Harder, Experts Say.” I was among the experts cited in the article which explores what both organizations have done and need to do as a result of the controversy. “I understand that Komen has refined its policy regarding organizations that are under investigation. I further understand that this refinement of policy would now allow Planned Parenthood to apply for future funding. However, I also understand that Komen is no longer interested in funding pass-through charities, and it will instead only fund those charities that provide direct service. Komen officials have also stated that they consider Planned Parenthood to be a pass-through charity in large part. So, even though Planned Parenthood may apply for future funding, how likely is it that it will receive funding in the future if it applies for the same type of support it has requested in the past? If it is likely to receive future funding, how likely is it that that future funding will be at a similar level as in years past? Would current funding criteria make it more difficult for Planned Parenthood to get future funding for the same type of request they have made in the past? In short, I want to better understand what current Komen policy means for the future of the Komen/Planned Parenthood partnership since the mainstream media has portrayed the future relationship in contradictory ways. 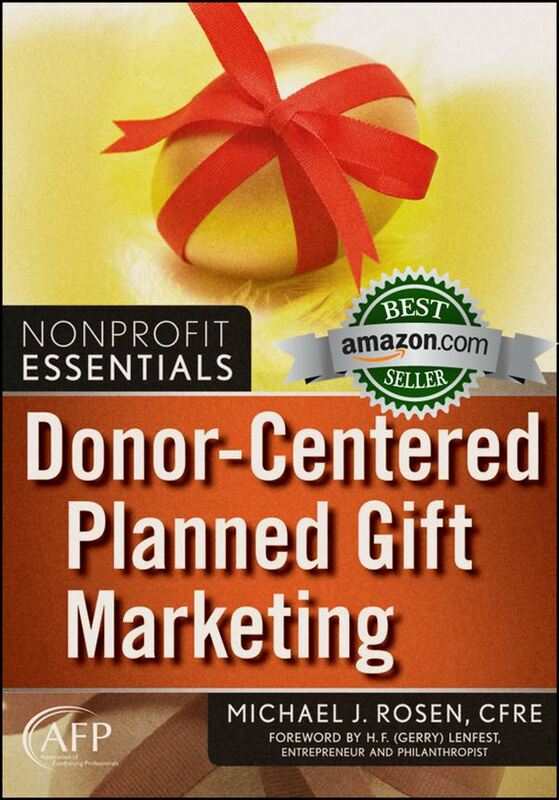 “By way of introduction, I am the award-winning author of the book Donor-Centered Planned Gift Marketing. 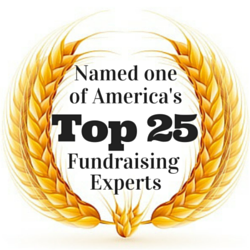 I am also the publisher of Michael Rosen Says, a popular blog about fundraising and nonprofit management. It’s now February 19. Nearly two weeks have passed, and I have received no response from Komen. I haven’t received an answer to my questions. I haven’t even received a courtesy response stating they’re too busy to respond. While this obviously strikes me as non-responsive, it also seems a tad arrogant. Why isn’t Komen willing to answer these questions? Hmm. I will resend my inquiry and let you know if I hear anything. When I was very young in my development career, I had an organization act duplicitously, deceitfully and dishonestly regarding a project we were supposedly working on together. Gosh, it has been over a decade and I still remember how betrayed and hurt I was… here I was working in the not for profit world — my dream — and I was just so disheartened that people could act so viciously when we were supposed to be working for the greater good. Well you guessed it — the organization was Komen. I have since supported them, numerous times since this… Figuring you cannot base a full organization on a few bad apples… Now I wonder if you can? I’d love people’s thoughts on this…. This story has brought up many unpleasant memories and I wonder if an organization’s demeanor is what it is…. Julie, thank you for sharing your feelings here. I’m sorry that this whole story has brought back bad memories for you. I’m looking forward to the discussion here, and I thank you for getting it started. While Komen has problems, I hope you won’t be disheartened by the entire nonprofit sector. There really are many terrific organizations doing wonderful things. And, even with its problems, Komen also has done much good. Great summary. One more item, Komen has also alienated many of its leadership, staff and affiliates who are dropping like flies. If that’s not a sign of a huge mis-step on policy and operational fronts, much less the post-factor communications, I don’t know what is. Nancy, thank you for your kind comment. I also thank you for sharing the information about the Komen staff, an item I haven’t seen widely covered by the media. It certainly does say something. As some of your readers may know, I’m a breast cancer survivor. I had done the Komen Race for the Cure with a group of friends for many years to raise money. But we stopped paraticipating when Komen totally mishandled an international symposium that was held in Egypt 4 years ago. It was supposed to show that science brings people together but Egypt wouldn’t allow the Israeli scientists into the country to attend once they arrived (so much for peace treaties). One of the Israelis was a Nobel Prize winner, with extensive credentials regarding breast cancer research. Komen was silent on the issue at first, and then denied it was happening. When they finally did something the syposium had started already and the Israelies “would have been welcomed” but it would have been too late to participate. This “fix” happened only after Komen received hundreds of thousands of complaints from women around the world. Komen finally admitted they didn’t know how to handle the situation and as an apology, they held their first ever Race for the Cure in Jerusalem, Israel in 2010, the following year. Because of this debacle, long time executives were asked to leave Komen. I stopped caring about them and now support the Israel Cancer Reseach Fund (which provided grants to the Nobel winning Israeli scientist and so many others). I would say their integrity is not questionable but totally non-existent. We know about things from the news but what about what doesn’t make the news! If this is how they exercise judgment, who’s picking who receives their grants? Lorri, thank you for your insightful comment. I did not know about the situation involving Komen’s experience in Egypt. That’s an amazing story on many levels. I congratulate you for sticking to your principles while continuing to support the fight against breast cancer. My first nonprofit job was with a national org with a similar mission to Komen. When Komen came into being, there was duplication of services, without regard to existing programs. My org finally partnered, but we always felt bullied. Komen has grown exponentially and it has caught up with them. Mi2ward, thank you for your comment. Bullies come in all shapes and sizes. Sometimes they even take the form of a nonprofit organization. I’m sorry to hear that that was your experience with Komen. Michael, thanks for your post. I’m proud of Komen for finally getting out of the Planned Parenthood business. I have spent the past decade telling friends that I could not sponsor them in Komen walks because of the organization’s support for PP. You noted, in your integrity question above, that Komen’s activities may be “Risking the Lives of Women.” The sad fact is that Komen’s previous support for Planned Parenthood didn’t just risk the lives of women, it helped to facilitate the abortion of little girls. PP’s supporters should realize this IS a feminist issue… how many little girls will not come into the world because of PP’s work? James, while I thank you for your comment, I feel I must set the record straiight. First, Komen’s funding to Planned Parenthood was restricted to breast cancer screening. None of the Komen money went to fund abortions. Second, many Planned Parenthood affiliates around the nation do NOT even perform abortions. Third, the majority of the Planned Parenthood operating budget goes to provide a variety of vital health services not related at all to abortion. You certainly are entitled to your opinion on the abortion issue. However, let’s be clear about what the facts of this situation are. Michael, this was a great post analyzing communication missteps when an organization is under fire. But you got side-tracked by personal passion, I’ll assume. We all need to be prepared to thoughtfully respond to major, critical issues that affect our organizations. As a private philanthropic organization, Komen is well within its right to determine its grantees. This event also serves notice on funders that, in the future, if you’re not clear about your funding policies, you may come under fire. Ever been denied funding from a donor who didn’t think you were a match? We have, but we certainly didn’t retaliate in response. We communicated professionally with the donor to clarify the mission differences. PP, however, didn’t like the Komen decision and responded with well-sharpened teeth. It’s a profound example of how to bully with taxpayer dollars. Since 1970, PP has received billions of dollars of taxpayer money. According to its annual report, they are worth in excess of $1 billion. In 2010, abortion procedures constituted 91 percent (329,445) of Planned Parenthood’s services for pregnant women. That is staggering to me, and I’m not sure how this constitutes “health services.” Why shouldn’t Komen consider distancing themselves from them? I would think there are more worthy grantees out there. They just did not articulate that point well at all. The loss of Komen’s projected yearly gift of $680,000 will hardly cripple their services, i.e., prevent them from continuing to offer mammograms, because PP centers do not even offer mammograms, and instead refer women to other clinics for such services. They do not refer for abortions. That’s their bread and butter. Additionally, for years the association between Komen and PP has struck me as odd. That’s because according to some researchers, there’s evidence of increased risk of breast cancer after an abortion. Thus, the very disease Komen is trying to fight is potentially increased by the services Planned Parenthood provides! Komen can best recover by clarifying its mission and funding policies and doing a better job of vetting its grantees. For me, it’s also is a reminder to look at where my personal donor dollars go, and if nothing else, donors across America will do the same when it’s time to write the next check for charity. Amy, thank you for your comments. You are correct, to a point. I am passionate when it comes to the nonprofit sector. However, while I am passionate, I fail to see how my post was “side-tracked” by my passion. Perhaps, you’d like to furnish some specific examples. You are also correct when you write, “Komen is well within its right to determine its grantees.” However, that has nothing to do with the point of my post. My post was not concerned at all about whether or not Komen funds Planned Parenthood or how many abortions Planned Parenthood conducts. Instead, I was and remain concerned about how Komen has handled its change of policy, how Komen interacts with the media and the public, and Komen’s integrity problems, real or perceived. While folks on both sides of the abortion debate have seized upon the abortion dimension to the story, I have consciously gone in a different direction. While you are entitled to your opinion regarding the hypothesis that there is a link between abortion and breast cancer, the consensus in the scientific community disagrees with you. While I do not usually cite Wikipedia as a source, I will do so in this instance because the article “Abortion–Breast Cancer Hypothesis” (http://en.wikipedia.org/wiki/Abortion%E2%80%93breast_cancer_hypothesis) provides numerous links to scientific websites and research papers on the topic. Readers can do their own examination of the scientific evidence and draw their own conclusions. It is obvious that the communication for this endeavor was not well thought through at all. I am curious where the Public Relations team was at when handling this. SGK had to know that this would be brought up in the media (PP is a hot topic) and the delivery of the message could have been done better by following an honest (and consistent) story and being up-front with the public. An intriguing turn of events is that SGK has now decided to continue funding PP. It is interesting to take a peak at SGK’s Facebook page and to view the comments individuals are writing. SGK successfully upset a lot of individuals (pro-life was chanting them on in encouragement and then recently let-down because SGK backed down on their stance, pro-choice was infuriated at the removal of support yet when SGK decided to recant and support PP there is still anger, and bystanders are left formulating their own opinions). This has been a trainwreck to watch since the beginning. Kristen, thank you for commenting. I just want to be clear about one of the points you made. As I indicated in my Update (above — posted after you commented), Komen has NOT agreed to continue funding Planned Parenthood. Komen has simply allowed Planned Parenthood to apply for future funding. The fulfillment of current grants was never in question. So, we still don’t know if Planned Parenthood will continue to receive Komen funding. In addition, I also want to touch on labels. You used the term “pro-life.” I believe most folks on both sides of the abortion debates are in favor of life. That’s why I use the term “anti-abortion” to describe the folks who are against choice. Michael, coming from a long history of service in the nonprofit sector, this issue brings many issues to mind. Ethically, I understand Komen discontinuing support for Planned Parenthood while they are being investigated by Congress. If Planned Parenthood did misuse directed funds that the government provided, they are ethically problematic, just as Integris was for not using Garth Brooks directed funds. If that is the case, Komen has a right to hold off future funding. If the investigation shows that PP did no wrong, Komen can reinstate funding in the future. Planned Parenthood has been under investigation since September. Have they been transparent and given a full accounting of how they spent the money from the government? As for Komen, I agree that they made a huge mistake in not controlling the story from the start. They should have been the organization that announced the change when they made the decision in December, and not waited until PP released the news portraying Komen as the “bad girl.” The fact that they have now changed the story is even more disconcerting. If the Congressional investigation goes nowhere, and PP is vindicated, why would Komen go back to funding them after all the vitriol and demonizing? Richard, thank you for sharing your thoughts. As indicated in my Update (above — posted after you commented), Komen is changing its policy to better define what it means by “under investigation.” As a result, it appears that the politically-driven inquiry by Congress would no longer qualify as an “investigation.” This story continues to get more interesting. Regarding the Congressional inquiry, I do hope that Planned Parenthood cooperates. If it has nothing to hide, the easiest way to shutdown a misguided witch-hunt would be to demonstrate its integrity. As for the relationship between Komen and Planned Parenthood, it will be interesting to see how that develops. Both organizations have really bruised the image of the other. Will they be able to overcome that? Time will tell. While the problems you describe are far greater in scope, I also experienced a communications error on behalf of Komen. As a donor, I received a clarification/apology email from the Executive Director of Komen’s Massachusetts chapter a few days ago. While the verbiage appeared genuine, it was in two different fonts, suggesting to me that it was a cut-and-paste job. Perhaps the first half of the statement was from the national office, and the second half was written by the Ma. chapter. I’m almost certain this was a cut-and-paste job, as this formatting problem has happened to me in both gmail and WordPress when I cut-and-paste something. Either way, because of this error, the message seemed less genuine, and frankly I don’t even remember what it said. Anyways, this is a small error in the grand scheme but shows what happens when an organization has to scramble after a crisis that could have been avoided. Nick, thank you for sharing your own experience with Komen. The little things do matter. Any small glitch, by itself, can be overlooked. However, many small glitches or a small glitch along with a big blunder really do add up. Attention to detail matters. How we handle the details reveals something about quality and, as you’ve pointed out, even sincerity. Komen Foundation’s leadership lied about this decision. A lot. Plain and simple. When presented with the staggering hypocrisy and craven cowardice the decision represented, Mollie Williams, long-time and now former managing director for community health programs at Komen, resigned rather than go along with the policy. Being socially conservative is one thing, and there is nothing wrong with that. Making a purely political decision and attempting to cover up the reasons for the decision with obfuscating lies is very wrong. In the Atlantic coverage, I believe someone mentioned that Penn State Univ. is under investigation for enabling Jerry Sandusky and not bringing the matter to the attention of the police, and, yet, Komen evidently decided not to rescind their funding of the university. Big Vig, thank you for commenting. I find it interesting that most in the media, and even most of those commenting at other sites, seem to be focused on the communication and policy issues. I have found that comparatively little attention has been placed on the issue of integrity. As I pointed out in my post, this is not the first time that Komen has stumbled on the integrity issue. I’m glad you underscored the importance of integrity. Komen made a commitment to Penn State to fund research for a specific amount of time and money, just as it did for Planned Parenthood. The decision it made was to deny funding for future grants, until the investigation is complete. Penn State has no guarantee of getting new funding. I also see a bit of a difference in the Penn State situation, as the Sandusky issue originated in the athletic department and had nothing to do with the science department doing the research for which Komen is paying. Unfortunately, because it appears that the administration failed to do the right thing, I do see validity to your point. Richard, thank you for sharing your thoughts. This actually brings us back to the question: Did Komen craft its new policy specifically with cutting funding to Planned Parenthood in mind? The Associated Press reporting seems to be headed in that direction. If that’s the case, then it really would underscore my point about integrity. Komen is still paying on grants that were already made to Planned Parenthood, just as they are continuing the payments to Penn State. The grant for Penn State expires in 2013. I believe the Planned Parenthood grants were awarded annually, with them ending with the fiscal year. I guess the question should be posed to Komen leadership to find out. Richard, thanks for the details. I’m amazed at how many civilians and even how many reporters think that Komen has agreed to continue to provide funding to Planned Parenthood when they have done no such thing. Well, since no one else seems to be probing this, I think I’ll make a call to Komen to see if they’ll talk to me. I’ll let you know if I get an answer. In the mid 1990s, I was honored to be asked to attend a workshop by Bob Fogal, who had been the first executive director of the IU Center on Philanthropy, on institutional integrity. Perhaps 40 development professionals from around the country were asked to attend. Bob used Myers-Briggs to analyze the integrity–the wholeness–or organizations. His theory was that the loss of integrity led to ethical lapses and institutional crisis. We looked at a number of organizations that had serious issues, examining the board (especially the chairperson)-CEO-staff-key donor and the Myers-Briggs personality of that organizational unit. It was enlightening to see how the loss of institutional integrity resulted in ethics issues, PR crises, financial disruption, board and staff conflict, and even dissolution of the organization. Often times, it might be just one new person in the mix whose M-B personality did not mesh with the existing organizational personality. If I use that M-B analysis on what I have read about the Komen issue, it seems as if the organization’s “personality” was disrupted, its integrity (wholeness) was compromised, ethical lapses occurred (dissembling, changed stories as to motivations for the changed criteria), staff resignations and disruption happened (and continues), and donors left the organization. Not a communications problem. Fixing the communications, hiring a PR crisis firm, will not “fix” the organizational “personality” and its loss of integrity. Komen needs to undergo self-analysis to regain its integrity. And, to regain donor confidence, it needs to be transparent. Politics, leadership (including the founder), image, need to be put aside and integrity restored. If Komen leadership wishes to take an active stand against abortion, it should say so openly and make clear what it stands for, what its core values are, and then let the “marketplace” decide to support it or not. Its leadership, staff and supporters must be integral with its values, as those values drive the mission and its actions. This is not unique to Komen–or to nonprofits (think Countrywide, Lehmann Brothers, et.al.). Think of the times this has happened with an organization you have worked for or consulted with, or been a board member for. I can sure relate in all three areas. A good cause, a strong mission–these are not enough. Values, vision, integrity–these build an organization that can fulfill a mission. Jerold, thank you for your comments. I’m always happy to hear good things about my friend Bob Fogal. The importance of integrity is just one of the things Bob and I agree on. For my part, when I teach ethical decision making for nonprofit organizations, I always factor in integrity. You can learn more about one of my favorite models for ethical decision making by downloading “Doing Well by Doing Right” from the International Journal of Nonprofit and Voluntary Sector Marketing (http://mlinnovations.com/yahoo_site_admin/assets/docs/Ethical_Decision_Making_Article.28164930.pdf). All links above have been shortened using bit.ly for brevity. Again, the evidence that has been brought to light as a result of the fall out of this decision all points to a calculated political decision on the part of Komen for the Cure. Ms. Brinker’s and Ms. Handel’s statements simply too disingenuous to be believed. And the attempts to portray Susan Komen for the Cure Foundation as being so naive and Planned Parenthood Federation of America as being an ultra-sophisticated political operation taking advantage of Komen’s “misstep” politically is a cynical and underhanded attempt to re-cast the blame for for this situation on Planned Parenthood rather than where it belongs, which is of course with Komen. Ms. Handel’s statement was especially so. To me, it sounds like Capt. Renault claiming to be shocked to find gambling in Rick’s Café. Big Vig, thank you for sharing your additional thoughts and for furnishing the links regarding the possible drive by Handel to get Komen to stop funding Planned Planned Parenthood. I injected the word “possible” because I have yet to see any concrete evidence to support this. However, I agree with you that the mounting circumstantial evidence is striking. By the way, kudos to you for your Casablanca reference. This comment may be too late, but I think it is relevant. The central problem is that the entire organization is a one woman show. It is Nancy Brinker. She leads the staff as well as the board. She is the founder and has packed the board. The outrage is endemic to both those internal and external to the organization. In both capacities she hired the V.P. that led to this fiasco. In both capacities, she retained the services of outside P.R. in Ari Fleischer who has a long history of hatred toward Planned Parenthood. While Brinker has done a very admirable job as a fundraiser, her management and governance skills are lacking. It would serve both the organization and the breast cancer charities if she took a more appropriate role. The breast cancer charities are under assault already for nonprofit fraud and certainly don’t need Brinker exacerbating it. Gare, thank you for your comment. It’s never “too late” to share your thoughts here. As someone else pointed out, and as your comment suggests, Nancy Brinker may be suffering from founder-syndrome. It will be interesting to see how this story continues to play out. Many of us had admired the efforts of the foundation and the enthusiasm of its supporters for years. This crisis, however, was unsettling, and we started looking into it more deeply. Integrity is at the heart of it. It seems that much of the organization’s cash and influence has been used for lobbying efforts that actually block promising avenues leading to possible actual cures and prevention. Like many large institutions, they seem to be invested in the status quo, choosing to fund “education” aka making their brand more widely known, over research and assistance to those who suffer from the disease. If there were a real cure for breast cancer, then awareness of that cure would certainly be useful. If there is, then their education campaign hasn’t worked because nobody has heard of it. There are certainly treatments, that help some and not others. As far as I know, their slogan has not been realized and too little of their money funds actual research. I would like to see donations go more directly to researchers or to clinics who help those in need. But back to my original point, Too many factors point to the real possibility that the foundation has been a political organization all along, cynically taking funds from people who do not agree with its true agenda. It probably should have taken this opportunity to tell the truth, deny Planned Parenthood, and become a straightforward advocacy group for those who do not back women’s right to choice. That would have been honest. They would have lost a lot of runners and tireless workers, though, and they did not want to give them up. That was expedient, but lacked integrity. Thank you for your thoughtful essay, and for adding information about the affiliates, who do sound more sincere. Perhaps, it’s time for smaller, more local and focused charities without huge buildings and costly, arrogant staffs. The arrogance is actually what is most galling of all. Linda, thank you for your contribution to the discussion. If Komen’s stumble on the Planned Parenthood issue were its only major stumble, it would be easier to forgive them. However, sadly, it’s not. 1. Planned Parenthood greatly exaggerated and failed to describe the true impact the reduction in funding would have on their services. It wasn’t until a week later that the Planned Parenthood staff here in Illinois let local folks know that their services were never effected by the Komen decision; after many people made the emotional decision to donate in order to help their neighbor. 2. They have backed every other funder in a corner. If there ever is a legitimate reason to pull funding every foundation will have to think twice because PP will play the political media game that they have invested in for years. 3. Despite the platform to describe the true impact and statistical ROI of the Komen Funding to the public they chose to send political messages only. In my search for such statistics I have failed find them; even on the PP website where they list past successes. The only successes listed are political advocacy triumphs and nothing about cancers found, lives saved, etc. Their annual report is also very vague as it lumps all breast cancer services into one statistics which we all know could mean wide variety of services including those of volunteer educators. With 3 operations executives making over $240,000 (as reported in June of 2010) this information should be easily collected from their affiliates and distributed publically (especially since PP knows they are already fighting an uphill battle politcally). PP may in fact have a huge impact on women’s health, but it seems they are relying on their reputation and political savvy to ensure their financial health not facts. Nick, thank you for sharing your view. While Planned Parenthood may not have perfectly handled the situation with Komen, I do think its response was reasonably fair and well-timed. When news of the policy change at Komen became publicly known, Planned Parenthood acted immediately. The organization sent out an email blast to its network to inform them of the change in relationship with Komen and what the financial implications would be. The email also asked for a donation to help make up the difference. A copy of the email appeal can be found here: http://www.nonprofitmarketingguide.com/blog/2012/02/01/the-accidental-rebranding-of-komen-for-the-cure. While directly addressing the issue, the email was reasonably diplomatic. Some of the issues you raise have more to do with Planned Parenthood’s general stewardship efforts than with the Komen issue specifically. Nevertheless, you’ve identified some important issues for Planned Parenthood. Planned Parenthood has its own branding problem. To rally support and attract donations, Planned Parenthood promotes its abortion services and advocates for choice. However, abortion is just one of the services offered by Planned Parenthood, and some locations only offer health services and do not perform abortions. The problem is that Planned Parenthood has focused so much on the abortion issue that much of the public has lost sight of its other services. Furthermore, the public has relatively little information about the quality of those other services. If we look, we might be able to find such information. However, from a broad marketing perspective, it’s a deficiency. Does that deficiency rise to an “unethical” level as you suggest, I don’t have enough information to make that kind of judgment. However, the fact that you think it does is further evidence that Planned Parenthood, at the very least, has a marketing problem. By the way, I’ll be continuing this conversation on Thursday, February 23, at 10:00 AM PST as a panalist for the webinar program “Damage Control: How to Counter Bad Press!” (http://ow.ly/9cQau). I think the e-mail is appropriate and well done to target those communities directly effected by the decision. The way their national staff spoke through the media is still sketchy to me. As you state the communication at that level may more a deficient than unethical, but at that pay grade that negligence becomes an ethical issue. Nick, thanks for the conversation. Whatever label one puts on the actions of the national office of Planned Parenthood, the fact is that they, too, have a problem. The media, and I’ll include my little-ole’ blogsite, have focused on the much more dramatic actions of Komen. However, the actions of Planned Parenthood, while more subtle, do deserve some attention as well. Thank you for reminding us of that. Would you agree that Susan G Komen jeopardize public confidence by partnering with KFC? Tiffany, thank you for your question. In my opinion, any charity that does not honor its own mission runs the risk of jeopardizing public confidence. I do find the Komen-KFC partnership troubling. Of course, it’s difficult to tell how much public confidence Komen has lost and what the value of that loss is. Nevertheless, Komen can and should do better.